The top section of the front of my house (just 1st floor level as ground floor is brickwork) is currently rendered and painted white. 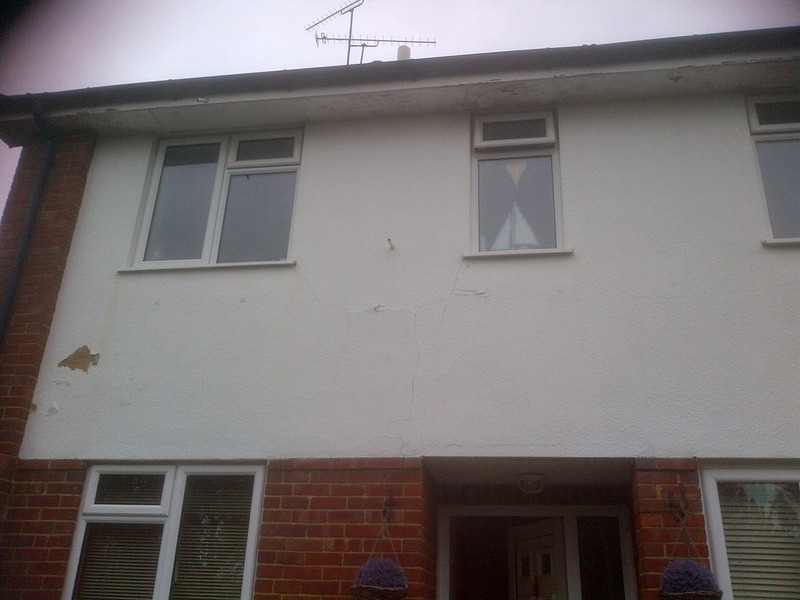 The rendering has cracked and some of the rendering has fallen off and needs repairing and then repainting. The paintwork on the soffit boards is poor and peeling off so needs sanding and repainting front and back. John and his team were fantastic. He promptly provided a quote and sent along 2 very nice chaps to do the work. They were extremely polite and friendly and worked so hard arriving at 8am and working through until late in the dark! They did a super job and I am really pleased with the result. I couldn't have wished for better service all round... thank you.